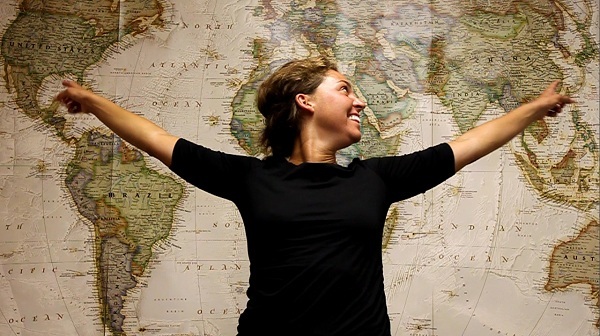 Yes — approximately 60% of the 250,000 English teachers abroad are women, and while you may depart for your adventure teaching English abroad as a “single” woman, you will soon find that you are not alone as you begin your new life. There are typically 500 to 5,000 English teachers working and living in most major cities in Europe, Asia and South America, and from the moment you start your job you will most likely be surrounded by colleagues, students, and like-minded adventurers who speak English and share your interests. Also, bear in mind that most new English teachers abroad will be living and working in major cities in developed countries that are home to large English-speaking communities and offer modern amenities and conveniences from modern infrastructure and medical care to broadband Internet access, satellite television and even American-style fast-food. Of course no place in the world is 100% safe (simply watch your hometown nightly news), and you always have to use common sense, but remember that most countries in the world have far lower crime rates than the United States and that you will be far less likely to be affected by violent crime in Tokyo, Taipei or Abu Dhabi than you will be in Philadelphia, New Orleans or Dallas. Would I feel safe going on vacation in this country? If your answer is yes, then you will likely feel safe living there and teaching English as well. The prime job markets for English teachers are located in peaceful countries with strong infrastructures and economies - remember, you will likely not be teaching in Afghanistan & you get to choose where to go! If you are looking at a poor, war-torn country then chances are that's not a great place to go to! While abroad you will find that single women look out for each other and making like-minded friends will be easier than you might think. Your colleagues will love the fact that there is one more person to join them for drinks, dinner, or dancing. 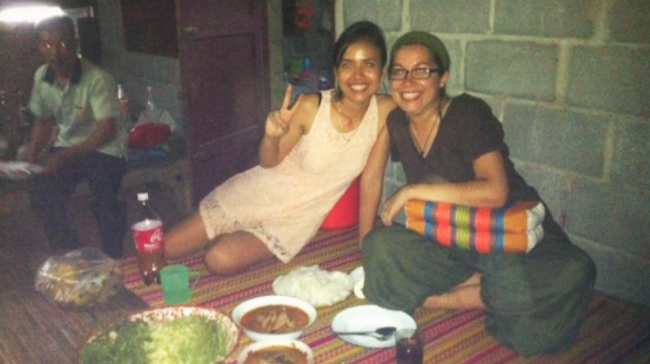 Your friends at home might have questioned your sanity before you left but you will find like-minded women immediately almost anywhere you go to teach English abroad, whether it's in Europe, Asia, Latin America or even the Middle East. Your colleagues abroad will be just as independent, courageous, and adventurous as you are. 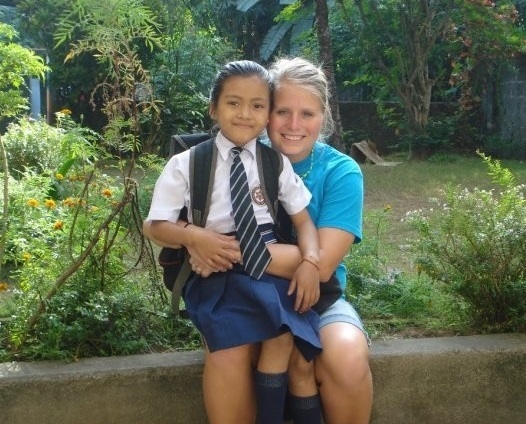 The vast majority of people around the world will welcome you as a visitor and a teacher in their community. You will not only be safely surrounded by welcoming colleagues but also by the overwhelming kindness of strangers. As a single woman abroad you will have everyone watching out for you. Perhaps it’s because they see their sister, friend, wife, mother, or grandmother in you. Whatever the case may be, be prepared to be cared for. Do not shun their hospitality and make an effort to talk to community members daily. Make friends with the cashier at your local market or your barista at your morning coffee shop. The more people you get to know the more you will be accepted into the local community and the safer you will become. When you first arrive in your new destination, you will find that your colleagues - both locals and other expatriates - can provide a wealth of information regarding daily life, including how to stay safe and avoid trouble. From showing you how to use public transportation safely and how to access local police and emergency services to pointing out potentially dangerous parts of town and local hang-outs to avoid, your local colleagues can be a great resource in helping settle into your new community. If a local or a fellow colleague advises not to walk home alone after dark on a certain boulevard -TRUST THEM. Your new community and colleagues will be your greatest resource for learning how to keep yourself safe while abroad. As you would in your own hometown, use common sense to protect yourself and to avoid crime. Basic tips include:do not flaunt valuables while in public; know which parts of town to avoid, particularly late at night; do not get drunk with strangers; do not accept free drinks from strange men; know how to access the local police and emergency services; have a list of emergency contacts; and learn as much as you can in advance about the place you are moving to. As a single woman abroad you should take note of not only what the local community finds appropriate for dress but also what is appropriate body language and social interaction. Blending into the culture as much as possible will steer you clear of unwanted negative attention. It is advised to read up on gender roles in the country you teach in. Cultures around the globe will have different perceptions about the role of women in society and how men and women can acceptably interact with each other. Once you are familiar with a country’s cultural norms you can make an educated decision about whether or not you can see yourself fitting into that role for a year or more abroad. Sexual harassment and violence against women is a global problem occurring even in your own city or town. Europe and Asia are typically safer places to live in than most large cities in The United States. Do your research of neighborhoods that are the safest in your new city abroad. Start with asking your friends who have been to this country or people who have immigrated from there. 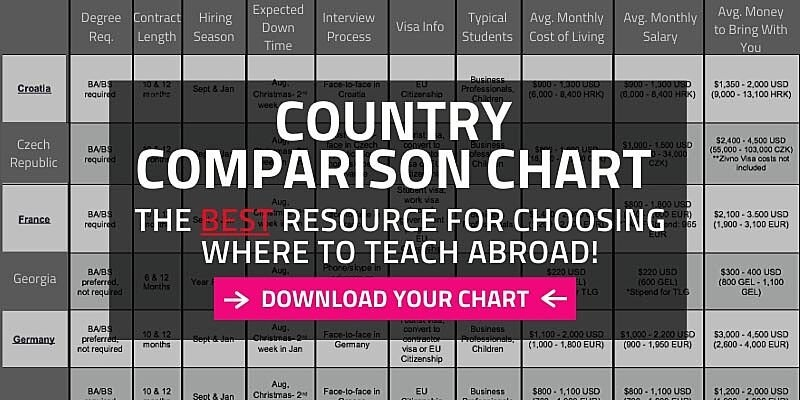 To learn more about teaching English in particular countries, check out our profiles of the top English teaching countries in each continent where people teach English abroad. To learn more about living and traveling in particular countries (including crime and safety issues), check out the Lonely Planet's Website and guidebooks, as well as the U.S. State Department's country profiles. (Expat is slang for "expatriates," which are people who are citizens of one country living in another country). Read blogs from other English teachers abroad such as Dave's ESL Cafe. Stories and advice from "Women On The Road"
Rick Steve's tips on Women Traveling Solo includes a list of great books and other resources for women looking to live and travel abroad.